Of the many roles played by dogs, they can now add conservation to their résumé. Also known as “sniffer dogs,” their talents are rooted in their detection skills, which have been used to search for explosives, drugs, missing people, and forensic evidence. Because of the prolific trade in illegal and endangered animal species and products, many countries are now using sniffer dogs to catch would-be wildlife traffickers. Canine service inspectors are on the front lines of this law enforcement, according to the U.S. Fish and Wildlife Service. They inspect declared wildlife shipments and work to intercept smuggled wildlife and other illegal wildlife products such as elephant ivory and rhino horn. They check exports and imports at key points of entry: ocean ports, border crossings, U.S. international airports, international mail facilities, and UPS and FedEx processing centers. They are also being used for conservation efforts pertaining to species such as the desert tortoise in California’s Mojave Desert. 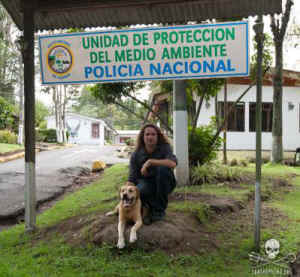 The Grup de Intervención y Rescate (GIR), Equador’s elite police unit, has trained dogs to work in the Galapagos Islands. After arriving in Jan 2009, they received additional training by Unidad de Protección del Medio Ambiente (UPMA), the environmental police. 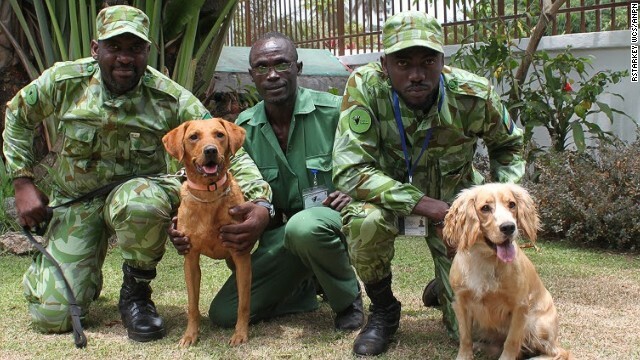 This canine squad curtails wildlife trafficking in the Galapagos by combating sea cucumber and shark fin smuggling. Illegal poaching in Africa is now an epidemic. The demand for ivory has resulted in all-time high levels of poaching of elephants and rhinoceros, which are slaughtered for the lucrative tusks by well-trained, well-equipped and well-funded poachers. Rhino poaching alone has increased up to 3,000% since 2007. According to the African Wildlife Foundation, if poaching is not stopped, many of these species could become extinct within our lifetime. 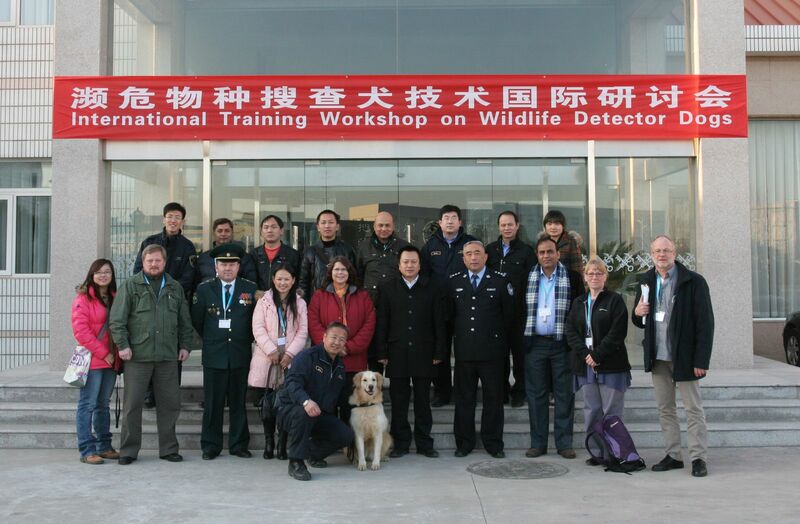 The AWF elephant and rhino protection funding to Kenya Wildlife Service supplements its existing Canine Detection Unit. While the unit is small due to resource constraints, its canine handlers and trained sniffer dogs boast a 90% accuracy rate in the detection of elephant ivory and rhino horn smuggled in shipments and luggage at airports and seaports. If you happen to be arriving at an airport in Yunnan, the Chinese province bordering Vietnam, Laos and Myanmar, you could be greeted by several Labrador sniffer dogs. Both the canines and their handlers have undergone rigorous training to identify the most commonly trafficked illegal products, such as rhino horn, ivory, pangolin scales, tiger parts, live turtles and other endangered animals. These dogs were secured through the efforts of Chinese wildlife trade enforcement, through a program that is part of the anti-smuggling Bureau of the General Administration of Customs of China (GACC). Detector dog Reggie has been specially trained to sniff out noxious cane toads and boost Australia’s fight against the feral species. Springer spaniels are an ideal breed for cane toad detection because of their acute sense of smell, high energy levels and ability to act on command.